Anna became certified at the beginning of 2004 along with her two sons and husband in order to dive while taking a trip to Puerto Rico. She is an Army veteran and served as a litigation paralegal for several years. In 2014, she took over the leadership for Adventure Outfitters with her son, Alex and is committed to implementing safety into a diver’s education. She is also the champion of a city-wide dive moment to help clean up our marine environments working with Project AWARE’s Diver Against Debris and Keeping Tampa Bay Beautiful. Anna currently is full-cave certified and is able to teach a variety of courses including divemaster, cavern, advanced, master diver, open water and many more specialties. Anna has an unsurpassed passion for teaching people how to dive safely and to enjoy all what the underwater realm has to offer. 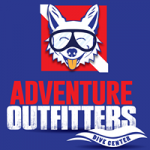 At Adventure Outfitters we take great pride in ensuring that each dive student feels fully confidant and has master every skill. We don’t hurry our students and will take as much time as needed to ensure that they will be a strong, confident, safe and happy diver. Alex Blevins is a PADI Master Scuba Diver Trainer instructor who loves to spearfish and freedive in the Gulf any chance he gets. You will often find him perusing tide tables to see if he can squeeze in a quick freediving or spearfishing trip. Prior to opening Adventure Outfitters with his mother, Anna in 2014, Alex worked with USAA and United States Social Security Administration. Alex graduated from the University of Missouri in 2009 with a bachelor’s degree in Business Administration and a minor in Mathematics. He is a newlywed and is married to Jennifer Lane Blevins who is also his life-long dive partner. Alex is Adventure Outfitters’ equipment and gear guru and has a passion for rebuilding and collecting old regulators. He enjoys the challenge of fixing and repairing them and the craftsmanship of their design. He also has a wide knowledge of technical diving and the gear that goes with these specialty activities. Ask him about sidemount, double or trimix diving any day! Alex also loves teaching, especially when he is working with new scuba divers and helping them to become more confident divers. Alex also teaches many of the PADI specialty courses including Enriched Air, Equipment Specialist, Wreck Diver, Search & Recovery Diver but probably his favorite activity, is teaching others to hunt, spear and fillet their fish! Bill Van Deman is the Regional Sales Manager for OMER and Sporasub. Bill has been a top spearfishing competitor, representing his club (Tampa Bay Spearfishing Club) and the state diving council (Florida Skin Divers Association) in several state and national breath-hold spearfishing competitions. Bill’s TBSC teams finished as the Florida state runner up in 2012 and 2013 at the FL State Freedive Spearfishing Championships, and took third place in 2010 and 2014. Bill has participated in US Spearfishing Nationals four times and served as the Event Chairman for the 2015 USOA Spearfishing Nationals in Tarpon Springs, FL. Bill has been featured for his spearfishing expertise in Spearing Magazine, Sportsman Channel HD, and the Outdoor Channel. Bill has also been active in the local dive community promoting the sport of freediving and spearfishing safety. Bill served as President of the Florida Skin Divers Association (FSDA) for three years and was a past president of the Tampa Bay Spearfishing Club (TBSC). Bill received the 2015 FSDA Norm Wyman-Poppa Taylor Award and the 2015 St Pete Open Lou Bonsey Award, for his role in growing and promoting the sport of diving. Currently Bill is serving as FL State Freediving Chair for the Florida Skin Divers Association and is FSDA co-chair of the new Florida State Spearfishing Records. Bill has been a Performance Freediving International certified Freediver Instructor since 2013, as well as a PFI Advanced Freediver and Safety Supervisor. Robert is a certified PADI dive instructor for Adventure Outfitters. He is also a retired U.S. Army Reserve veteran participating in Operation Desert Shield/Storm, Operation Enduring Freedom, and Operation Iraqi Freedom. Robert has been married to Anna since 1984 and is a graduate of Colorado State University and Regis University in Denver. He enjoys all aspects of diving including recreational diving, spearfishing, cave, and deep trimix diving. He also is a Handicapped Suba Association (HSA)instructor, able to train handicapped and disabled divers as well as their buddies. Robert will gladly share any aspect of diving and dive training with any interested student.